 Welcome to Oklahoma’s First and Only Casino & Indoor Waterpark! Located at First Council Casino Hotel, where you’ll find so much fun and food for you and the whole family! Our Waterpark is for the exclusive FREE use of our Hotel Guests. You’ll need to book a room to play in the Waterpark. waterslides, the highest being 30 ft.
Start your morning off right with the perfect cup of fresh roasted coffee, espresso, or a light breakfast at The Bear’s Brewing Den. And when it’s time to dry off, You can grab a quick bite at Hooty Hoo, located right in the waterpark. You and the kids will find all your favorites, like charbroiled burgers, hot dogs, and crispy French fries. To satisfy your sweet tooth, stroll over to Icy Bites, and get delectable ice cream treats, shakes, and cones. You deserve dessert! If you want to spend more time relaxing over lunch and catching up on all the day’s events, we recommend Buffy’s. Here you’ll discover a more traditional lunch menu, with salads, appetizers, sandwiches and complete lunch entrees. We’ve also got an incredible arcade that’s sure to entertain the entire crew for hours. 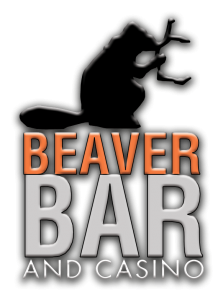 And if you just want to relax with you and your friends over an adult beverage, we’ve got two perfect spots, Buffy’s Bar and the Beaver Bar and Casino, located on the on the second level overlooking our spectacular waterpark. You’ll see, there’s so much to do and enjoy under one roof! Watch it from the Beginning!